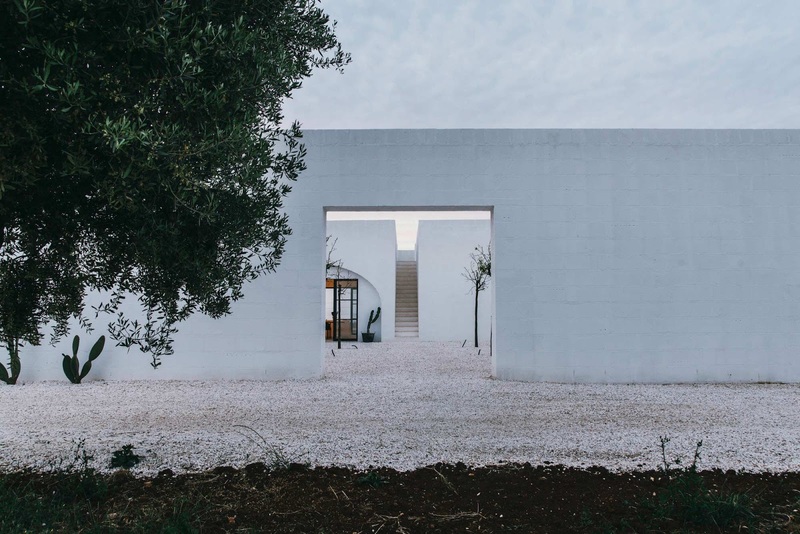 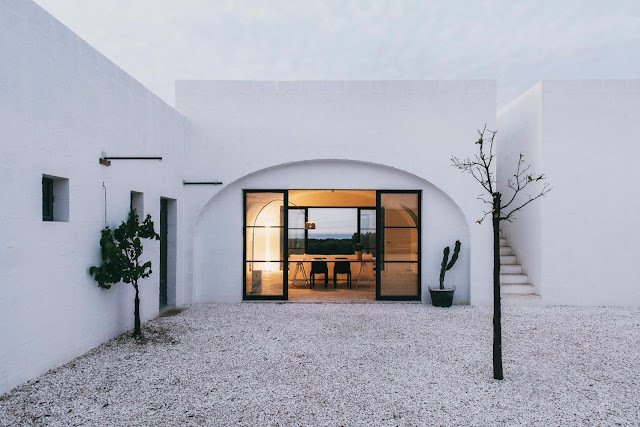 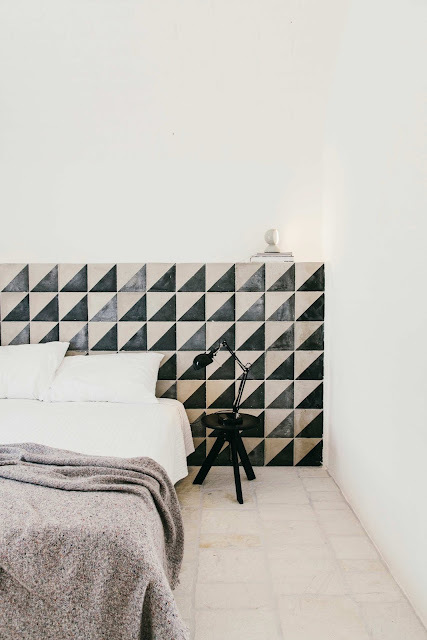 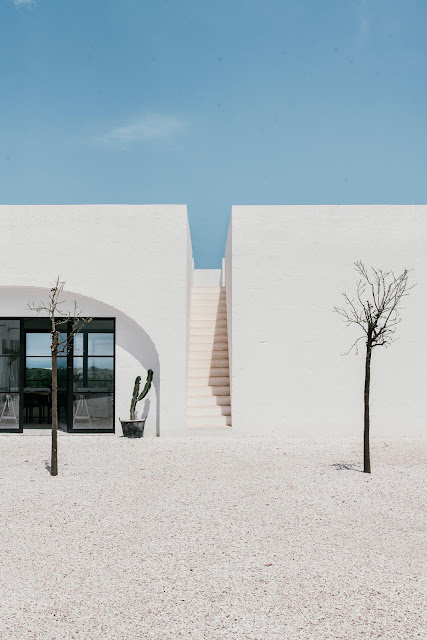 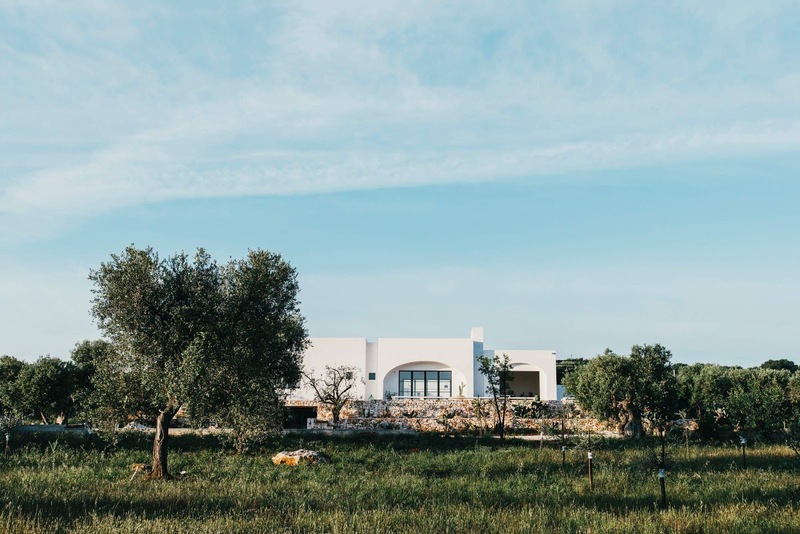 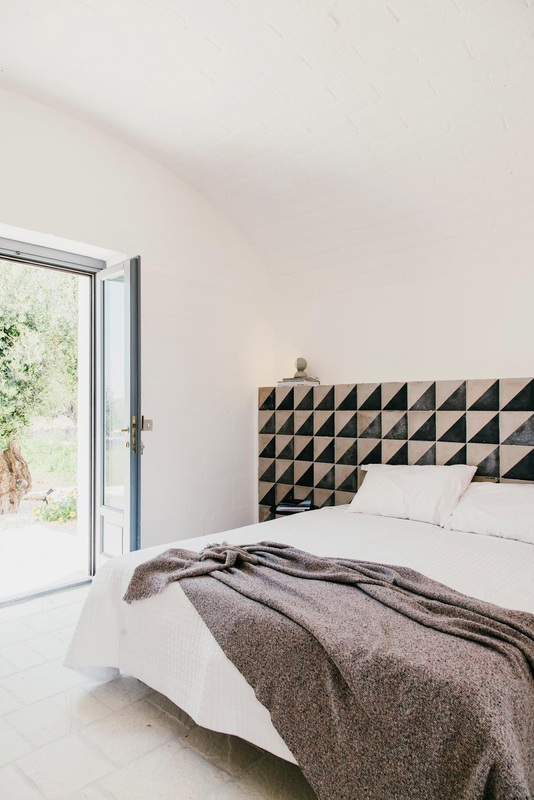 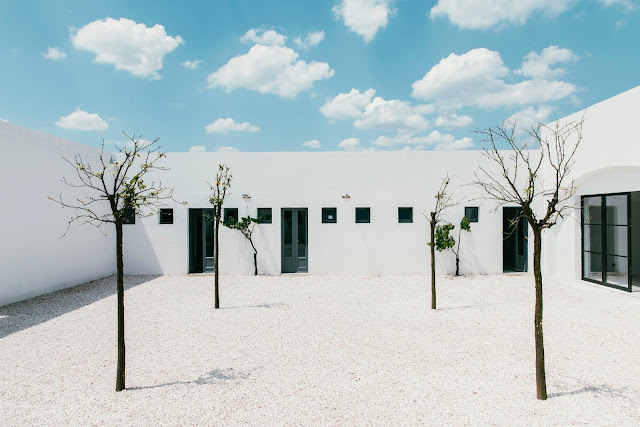 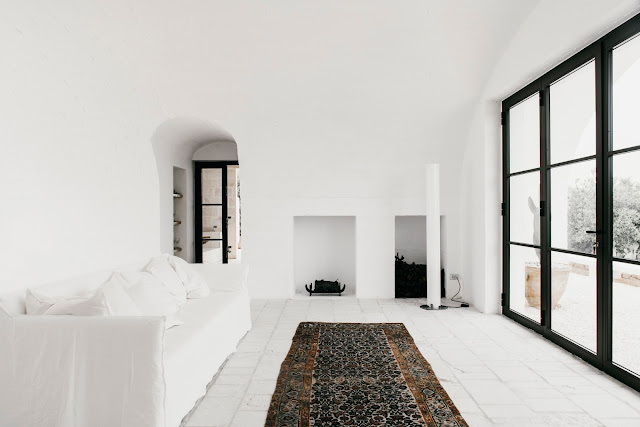 Masseria Moroseta is a modern farmhouse in Ostuni, Italy, with views to Ostuni and the sea, set in 5 hectars of organic olive fields. 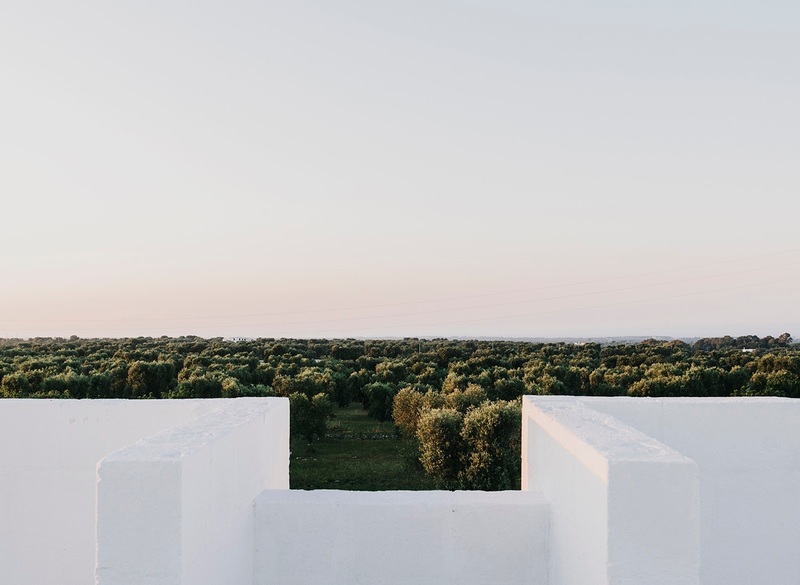 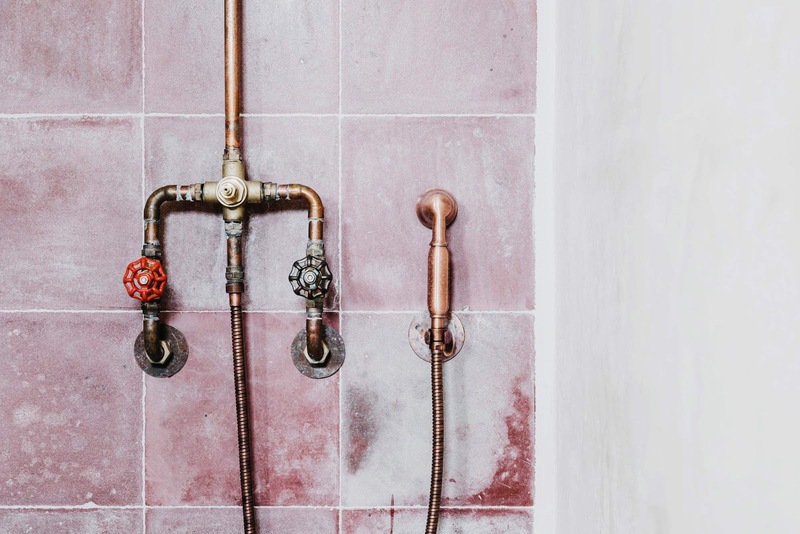 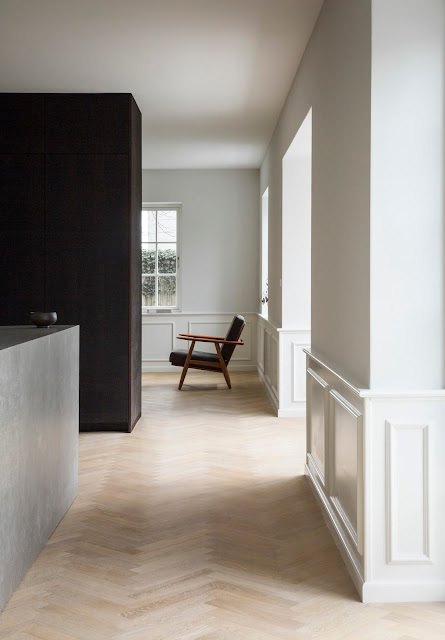 Designed by architect/ interior designer Andrew Trotter, the hotel is an enclave of relaxation and rural simplicity based on the use of local materials and tradition. 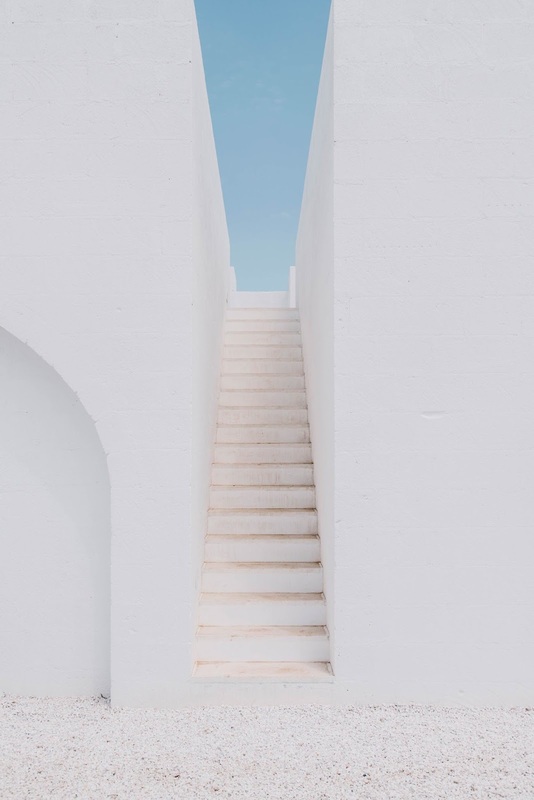 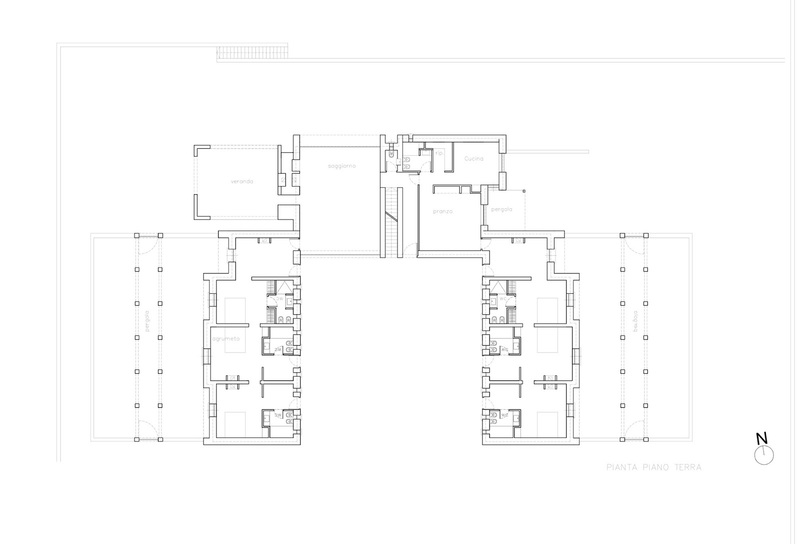 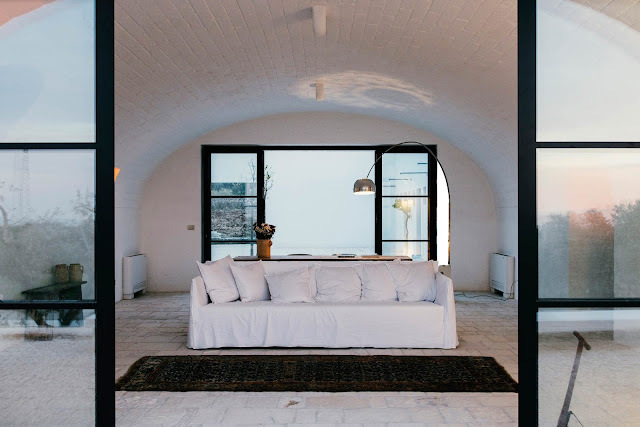 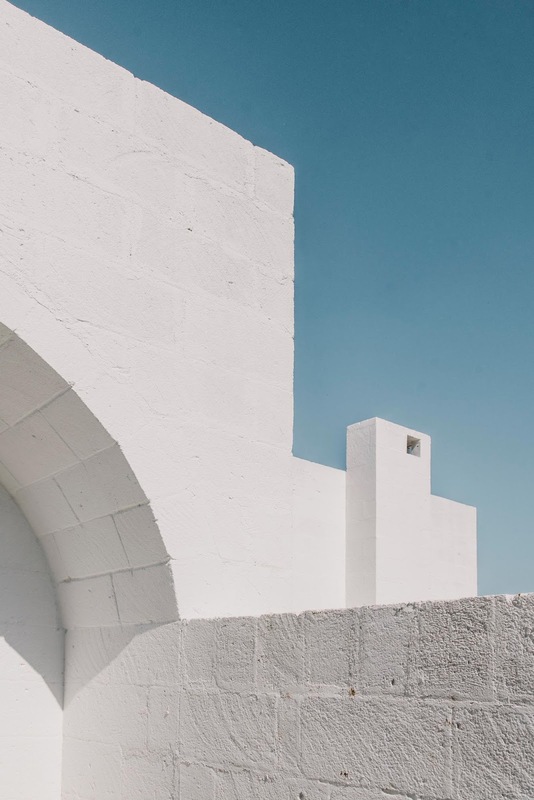 “Masseria Moroseta: a white stone farmhouse standing proudly on the ridge with views across the olive trees to the sea. 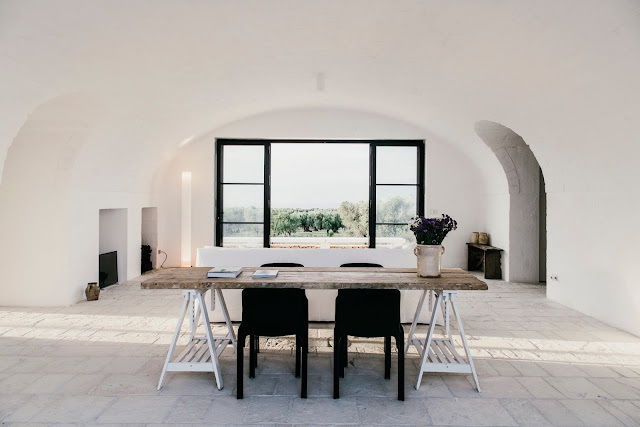 Built using traditional techniques and local materials, the modern architecture is influenced by masserie (farmhouses) of the past. 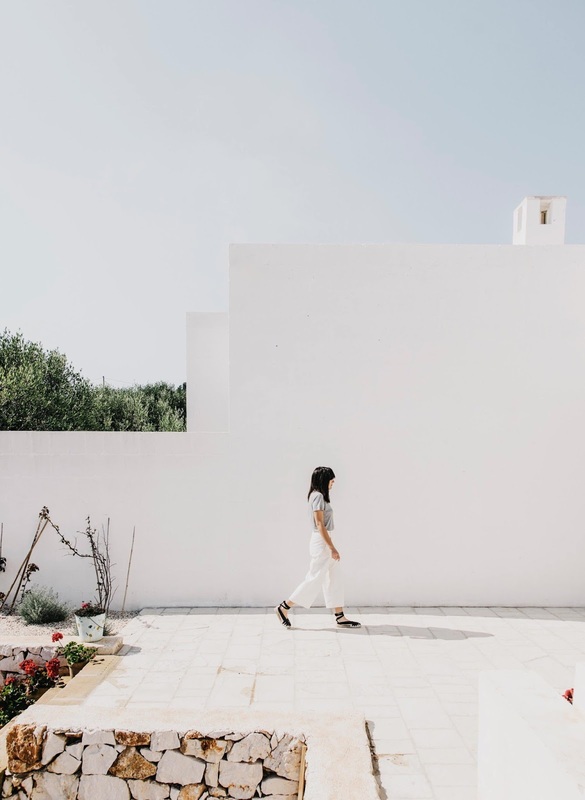 Set in five hectares of olive groves with trees up to 500 years old, Masseria Moroseta is an enclave of pared-down relaxation and rural simplicity.